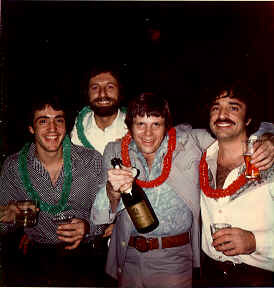 Del Shannon on New Years Eve, 1976. Del had a lock on rhythm and melody. Originally from Coopersville Micigan, he would occasionally work the "Coopersville Yodel" into a set. The Woolies backed him up dozens of times.